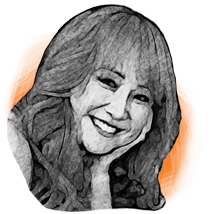 Pharma's Almanac | Rhea Kim, Ph.D.
Rhea has more than 20 years of leadership experience in strategic negotiations, business development, creative management, branding, high-profile marketing and PR, and research. Utilizing her fluency in Korean, Rhea has successfully led strategic negotiations for companies in pharmaceuticals and consumer goods. Rhea earned a Bachelor of Fine Arts degree in Studio Arts, a Master’s, and a Doctorate Degree with emphasis on Qualitative Research, all from University of Southern California. Currently, Rhea in addition to her consulting role is a professor at her alma mater working with Doctoral students and is an avid golfer.